Many say that this generation of young people will change the world. From advocacy to activism, Gen Z has demonstrated their passion for change and a willingness to lend their voices to causes that benefit the greater good. But you don’t have to look to a national stage to find young people leading big initiatives. Simply look to your nearest small town, which is where we find Carley Wilson, Miss Lake Bowen Teen. 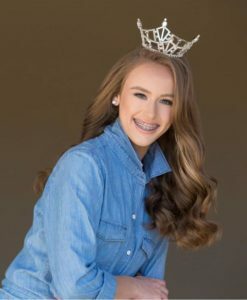 Carley, a 9th grader at Chapman High School in Spartanburg County School District 1, was crowned Miss Lake Bowen Teen in January 2018. Riding a whirlwind of pageant activities, from workshops to appearances, Carley has had her hands full fulfilling the duties of her new role. Of them, few have been as rewarding as spearheading a district-wide community collection drive for The Crayon Initiative. Fortunately, the Wilsons’ were undeterred. Carley presented the idea to Dr. Ron Garner, Superintendent of Spartanburg County School District One, and the district’s Chief Information Officer, Sandra Williams. Motivated by the mission of The Crayon Initiative and its impact on sick kids in hospitals, Williams coordinated the production of a short video filmed onsite at the District Office explaining the campaign. The video was distributed to principals around the district to gauge interest in becoming a crayon collection site. The campaign received an overwhelmingly positive response. 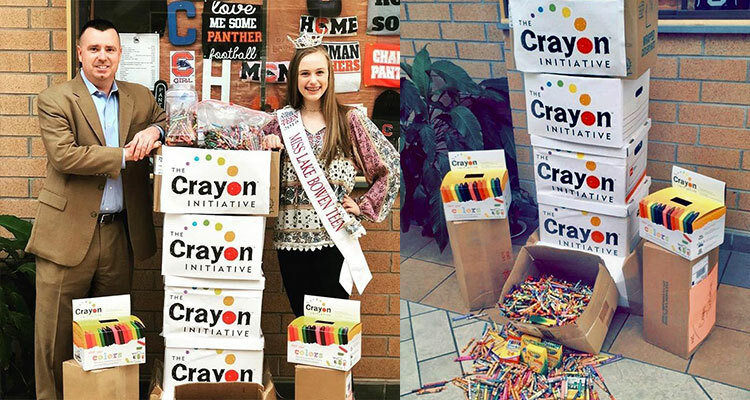 The crayon collection drive was a go across the ten schools in the district, reaching over 5,000 students! The event has gotten the attention of the local media and is a fan favorite on social media. But most importantly, it rallied a community around the concept of “kids helping kids.” The students that filled the bins with crayons understand that one day, those crayons will be melted down and shaped into new ones for kids trying to get well in hospitals. In fact, the Children’s Hospital of Greenville Health System will receive their first shipment of crayons this summer. At the time of this post, the Spartanburg School District One Crayon Collection Drive has collected 500 pounds of crayons, and the donations are still coming in from other schools and companies.